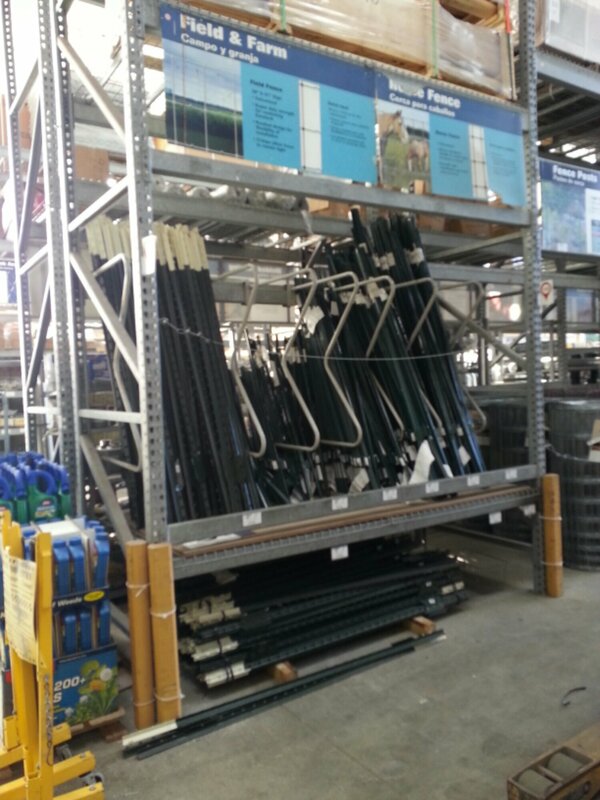 You can spend a lot on garden products like trellises: but you don’t have to. 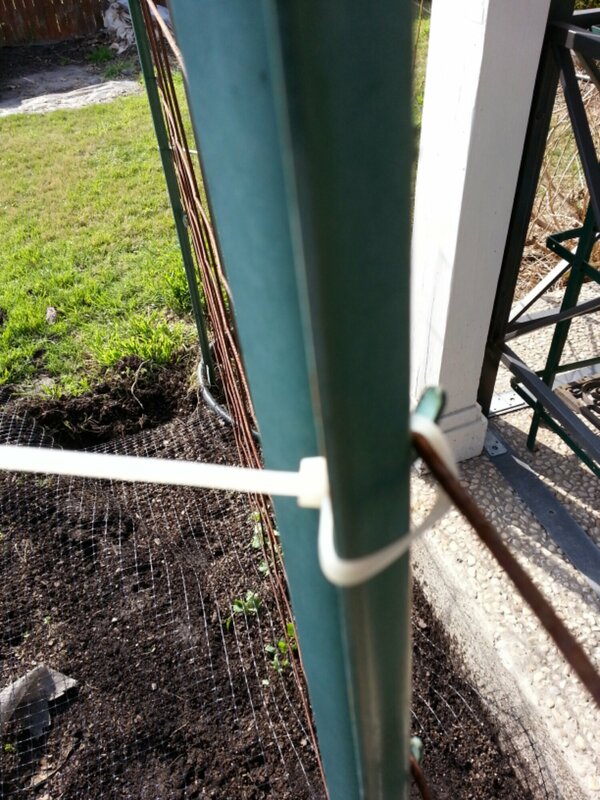 Trellising vining plants improves air circulation by getting them off of the ground and letting them grow vertically. Most vining plants suffer from powdery mildew. Powdery mildew is a fungal disease that can quickly defoliate and kill your plants. 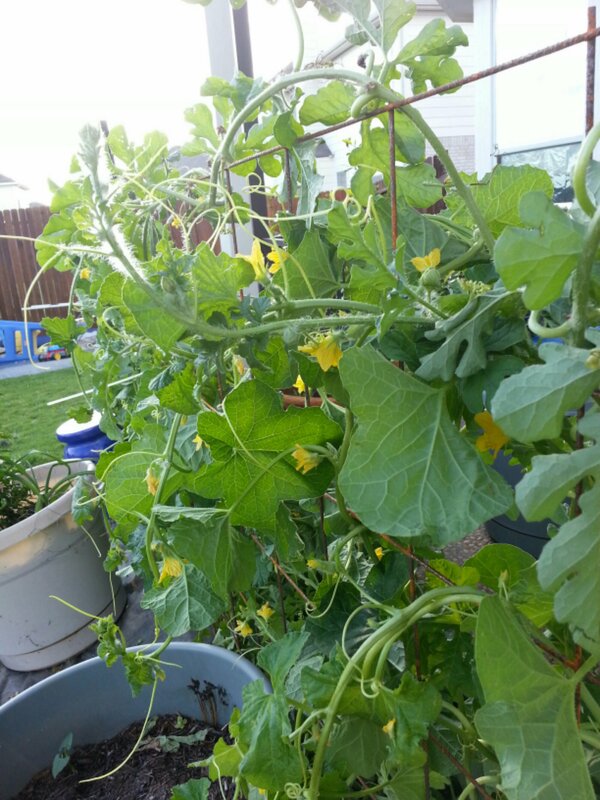 I love growing vining plants like cucurbits (which include melons, gourds, cucumbers and squash) and also members of the legume family (like peas and beans.) These all have issues with powdery mildew. I am always fighting this fungal disease. Air circulation helps slow this disease down, so trellising is a great way to go. I don’t believe in using wood for structures in the garden. Wood breaks down, kills a tree and wood is more expensive anyway. If you want wood to last it needs to be painted and that means extra work on a yearly basis. I have too many things to do to spend time painting garden supports. I could also use the money on so many other things! My answer? 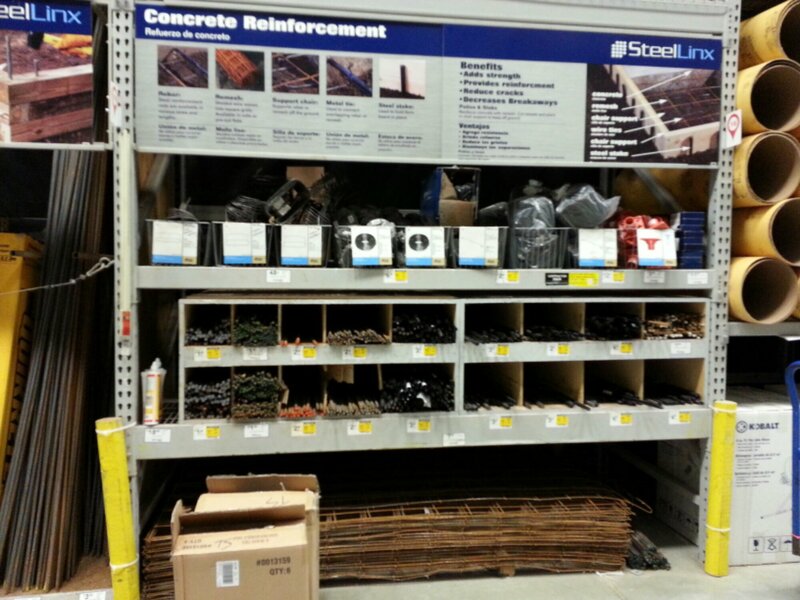 I use concrete reinforcing mesh (7’x4′ remesh at lowes is about $7.25). It will hold multiple 20+ lb fruits with ease. You will find it in the lumber area with the concrete bags and rebar. It’s laying flat at the bottom of this picture. around a few metal u posts (about $5.50 each in the garden area under field and farm) to hold it in place. At the end of the season I cut the zipties, completely remove the concrete reinforcing mesh and rake up the spent plants. It’s simple, it’s cheap, it’s easily removable and it’s strong. The mesh is spaced wide enough you can reach through it easily. Although, it isn’t wide enough to bring a large melon or pumpkin through. You need to either: pull anything growing through the holes in the mesh to a side you can harvest from (while it’s still small) or make sure you can access both sides. If you are new to melons I would not trellis them until you get better at judging ripeness. A ripe melon will release from the vine. It will drop and split if you miss harvesting them at the right time. Pumpkin (winter squash), cucumbers and gourds will not drop. Other uses for this include hanging it from a cross beam on a privacy fence. This would work well for flowering vines like morning glory or scarlet runner beans. Just make sure your privacy fence is strong enough to hold what you want to grow on it. 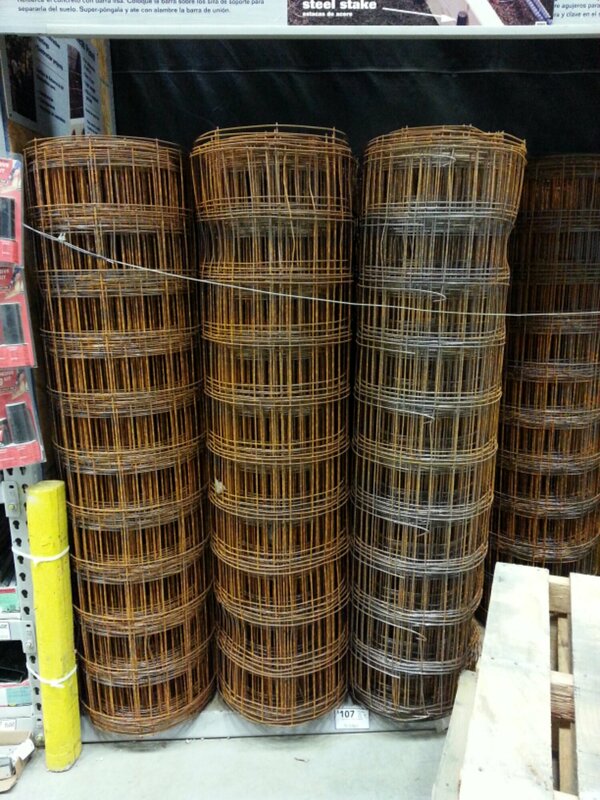 You can cut this into smaller sections and bend them into a triangular or square shape and make tomato cages. They also sell this by the roll so it’s already in a circular shape, but it gets expensive to buy this in 150 foot lengths. It’s still only about 75 cents a foot though, so if you know other gardeners: you could all go in on a roll. You can make a tent shape with two sections of remesh with a post on either side of the center to support it. More than likely, you will have to go underneath to harvest things but at 7 feet each, it is doable. It would make a great play area for kids. We’ll be doing this for my kids this year with beans on the trellis. If you wanted to get fancy: you could dress it up with 2×4’s on either side and even add an arbor to the top, but you’ll be painting the wood every year. 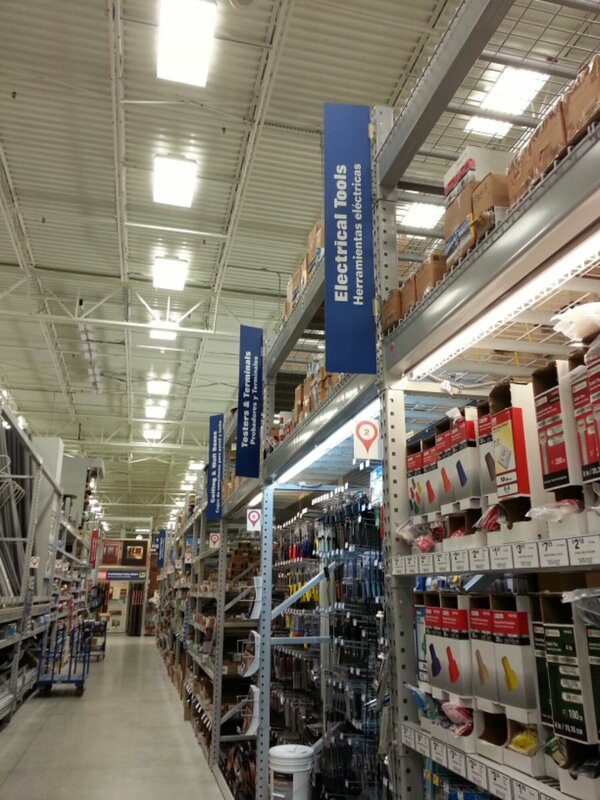 If you can’t stand the thought of rust you could always paint it with some Rust-Oleum brand spray paint. I wouldn’t bother, you aren’t going to see the support when something is growing on it and you would need to repaint it every year. Be aware these come rusted so be prepared with old sheets or a tarp if you are putting it inside a larger vehicle. 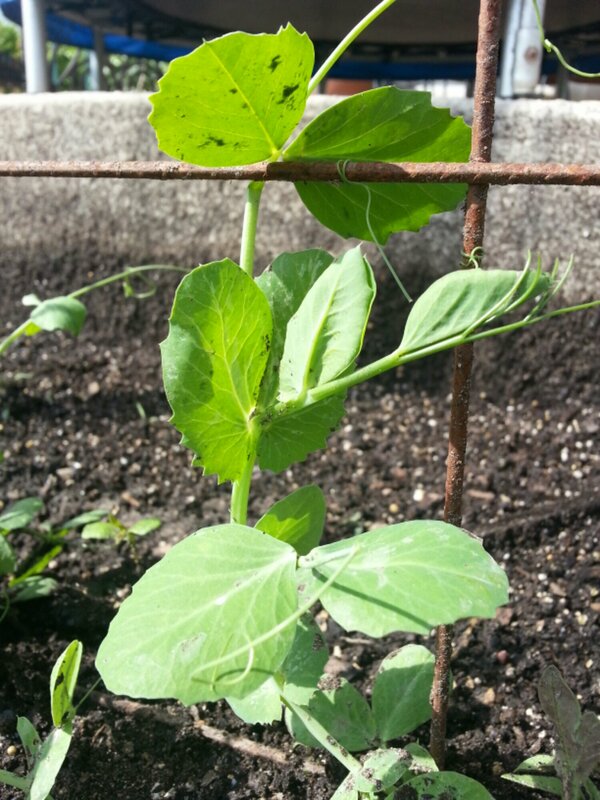 My peas are happy climbing mine right now. The mercury has already risen past 90 degrees this week and my cucumbers are in the ground waiting for their turn on the trellis. I love Texas! Oh what a brilliant idea! Thank you, I’m off to the Australian equivalent of your hardware stores today to go and buy me some concrete reinforcing mesh, thanks for the tip! You are welcome! I hope you like it. I love your idea of making a tent out of two panels of remesh. For another cool application, check out the latest edition of Garden Gate magazine. They have a gorgeous article on a garden in which remesh was used subtly and stylishly for not only supporting vines but protecting a koi pond from marauding great blue herons. I just posted about using wastepaper baskets and laundry baskets instead of expensive garden containers. Let’s hear it for saving money without compromise to the final look. Good idea. You don’t have trouble with the metal burning the plants in the heat? Many thanks for stopping by my blog. I appreciate it. I haven’t had trouble with the metal burning anything. The plants will grow up and shade the support. It also doesn’t have direct sun in the afternoon, which helps in our frequent triple digit heat. Thank you for stopping by as well! Ah. I have sun all afternoon in central AZ. I might still try it, on one bed. Thanks for the reply. This one is at an angle to the setting sun. It’s still exposed but the sun is not aimed at the full width. If you can grow a vining plant in your beds you can use this. The support itself is not a problem. I sympathize with your heat issues. People always say Arizona is a “dry heat”. My reply to that has always been: “So is an oven!” Good luck and I hope it works for you! My family is heavily German with a lot of Mennonite. Potato pancakes go after my dna! I really enjoy your blog. Thank you for visiting mine! Wow! What great gardening advice, I really appreciate you sharing what you’ve learned over the years. It’s great for someone like me who is a novice! Thanks for visiting my site, I hope you’re following me so I can share with you some crafting things I’ve learned over the years! I recently posted a paper flower making tutorial & some projects to use them on! I hope you stop by & check them out! Your porch is beautiful and I loved the butterfly project. Thank you for coming by! I appreciate it.